Wow. Awesome. And I couldn't remember the 'Baba' song, looked it up with that link- and the video doesn't work with my iPhone. So I found a version by Blue Man Group- and went 'Ooooh THAT. Song!' Their version is fun, but I've heard the original one many times- I really thought it was called Teenage Wasteland! Ha shows what I know. Thanks for another awesome read. >thought it was called Teenage Wasteland! Ha shows what I know. So many people make that specific mistake (I among them for so many years until I heard a DJ announce it and I said to myself, "say what?"). It's not by coincidence that it's the pull quote at the top of the All The Tropes page Refrain From Assuming. Feh. I grew up with a Hammond electromechanical organ in the house. Now that had a sound. "Electromechanical?" some of you may ask. Yes. Fully one third of the inside was taken up by a huge motor-driven axle on which were disks, one for each key on the keyboard. The disks were... serrated I guess is the best word, with a different number of serrations for each note. When a key was pressed, current flowed through the corresponding disk to a brush contact that that touched its edge, generating a basic square wave of the appropriate frequency. Which was then fed through a massive amount of tubes and other electronic gimcrackery -- which took up another third to a half of the interior -- to get whatever sound you had the organ set to produce. In the case of the organ my family owned, the entire back was open so that the tubes could get air circulation for cooling, and so you could easily reach the little funnel things on top of the housing covering the axle and rotors, into which you had to occasionally drip oil to keep the entire mechanism lubricated. It was a pain to maintain, but by god did it sound wonderful. Great installment as always, Gryphon. The episodic approach seems to work very well for this story. >house. Now that had a sound. That they do. 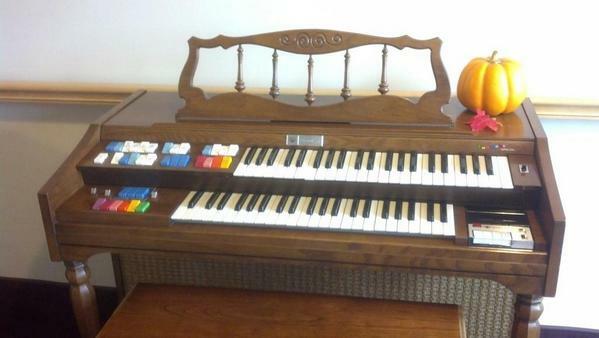 We just didn't have one during the years my sister and I took organ lessons. >I... wish I knew what they were, now. When I was little we used to visit my mother's grandmother in Connecticut sometimes. She had a console organ in her house - I think it was a Hammond, as I remember it making a mysterious mechanical rumbling sound when switched on but not being played, which I now know was the tonewheels turning. My great-grandparents are long gone now, of course, and I've no idea what became of the organ; my great-grandmother sold that house ages ago, after her husband died, and moved to Arizona for the last few years of her own life. I doubt she took it with her, as it was enormous and heavy. I'd like to think that whoever lives in that house now is still enjoying it, though the odds are against that. It's a Wurlitzer Funmaker Special, and, sadly, it did not appear to work, but man alive, on some level I really, really want it. You've got to love those '70s console organs. So many beautiful switches. >got to love those '70s console organs. So many beautiful switches. Oh, wow, and it has the cassette data player for that primitive digital "player piano" mode. That was something that didn't seem to last long -- IIRC they were almost obsolete when they were first made, and were gone in just a couple years. Wow, that brings back memories. >with that link- and the video doesn't work with my iPhone. Hmm. I didn't realize it was disabled for mobile (not sure there's any indication of that if you're not on mobile). Sorry about that. There are a number of different copies of the 1978 Shepperton performance on YouTube, and I encourage you to have a poke around and see if you can get one of the others to work for you sometime - it's a very different performance to the studio take on Who's Next, particularly in terms of John Entwistle's bass playing. For whatever reason, Entwistle usually played his parts very conventionally in the studio cuts, and only indulged his lead guitarist lobe when they played live. 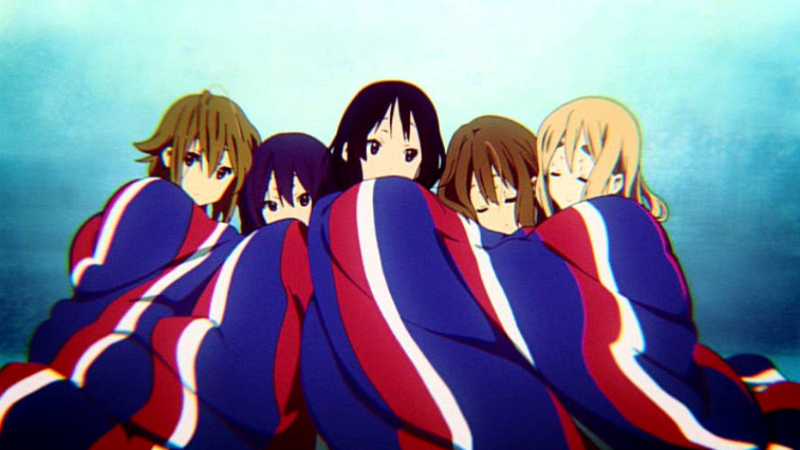 The difference is really striking, and the latter is a lot more like the way Mio plays (as I noted in another thread, I suspect that is a deliberate design decision on the part of the people who did the music for K-On!). >"OK, I guess Stupid Guitar Tricks will have to wait,"
I clearly play too much Dwarf Fortress, as the first thing I thought of upon reading this line was Stupid Dwarf Tricks. I imagine, however, that the two have very little in common, especially since I doubt there are any Stupid Guitar Tricks that could accidentically flood the school with magma. >>"OK, I guess Stupid Guitar Tricks will have to wait,"
>of upon reading this line was Stupid Dwarf Tricks. I would assume that they're both references to the old "Stupid Pet Tricks" / "Stupid Human Tricks" segments on Late Night with David Letterman. I mean, I know mine is. ... this one (actually a frame from a half-second-or-so flash in the movie's brilliant, poignant end title sequence) is specifically based on the cover art of The Kids Are Alright. A delightful read, and the last bit started me laughing all over again.